Some useful guidance on the tricky subject of making your first garden in the Algarve from Burford Hurry. 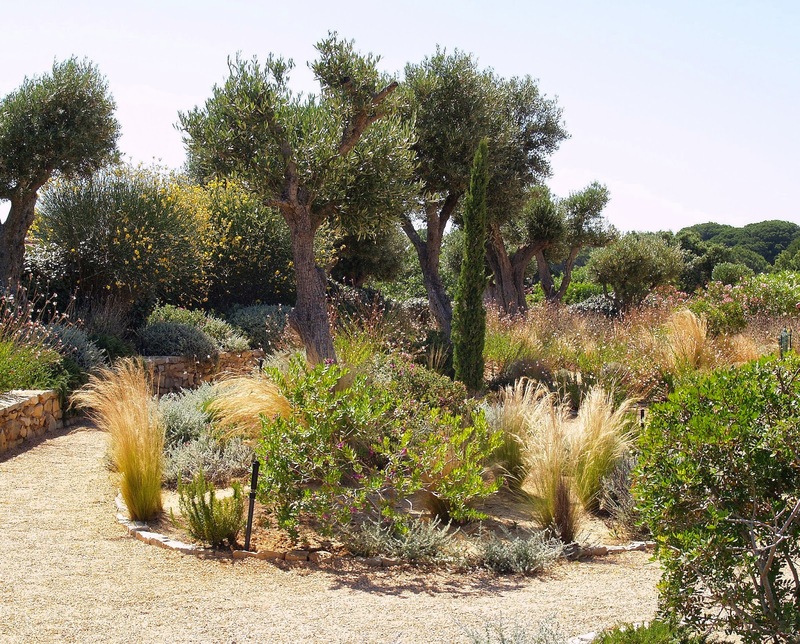 He has been gardening in the Algarve for many years and comes from an African background where heat, drought and cold are not uncommon factors in gardening. No one really starts from scratch because there should be some trees and shrubs on any piece of land which you are looking to make into a garden. Any mature tree and shrub cover is the treasure around which you can start your planning. where gardens also have to cope with strong winds. Look carefully at what existing tree cover you have, look at the neighbouring areas. What trees are there which you might wish to use in planning your garden views ? Many elements make up a garden, but it is best to start with the basics, and the most basic of all is the soil. Check for the main characteristics, clay, chalk, sand or schist. It is acknowledged that there are about 200 different kinds of soil on the Algarve, from the very acidic volcanic soils in the west to the chalky Barrocal clay in the east. Drainage will become a major factor during the wet months of the year. Check for water run off, soil erosion and potential soggy points which will rot most mediterranean plants. Consider mound planting or the addition of grit or gravel in any potential wet ground. So, do you have your vision of what you have in the garden and what you would like it to look like ? Next it is the time to think about long term issues. Irrigation systems and access for maintenance to the house, drainage systems, pathways etc. Will you need to get large machinery in ? Also think about future points needing electricity, any garden and path lighting, fountains etc. Running a tube under a pathway or steps provides future access for water or electricity. Pathways can create interest and invite exploration. Autumn is the best time to think about planting. Finally you get the chance to fill spaces created around and between existing trees, pathways and view points. Try not to be tempted by the many exotics available, go for the more appropriate and less water hungry plants which will sit well in the landscape. 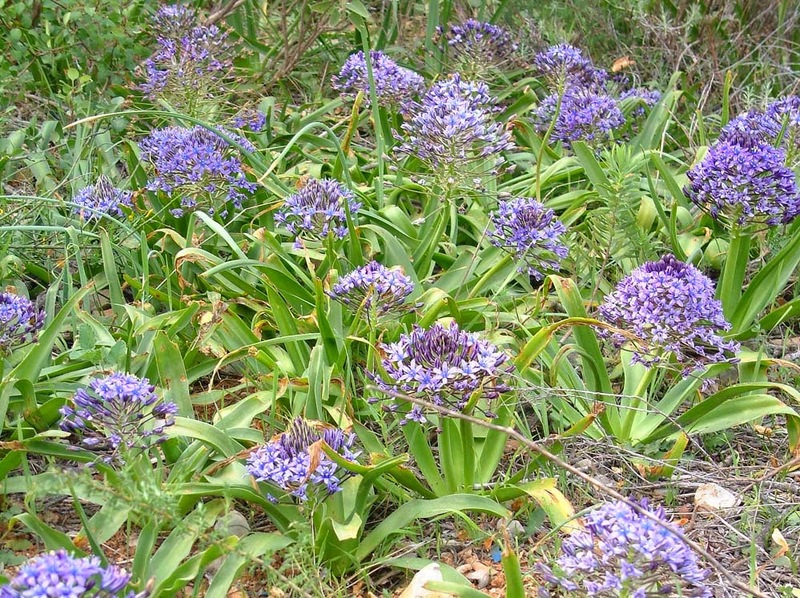 By all means have some exotics and choose from the many plants around the world which will grow on the Algarve but, do not let these dominate your plantings and keep them close to the house. If you must have a lawn, keep it small and it will be easier to look after. Put plants with similar water needs together and zone your irrigation so that you can water less frequently those areas that are further from the house or which will have a more natural aspect. 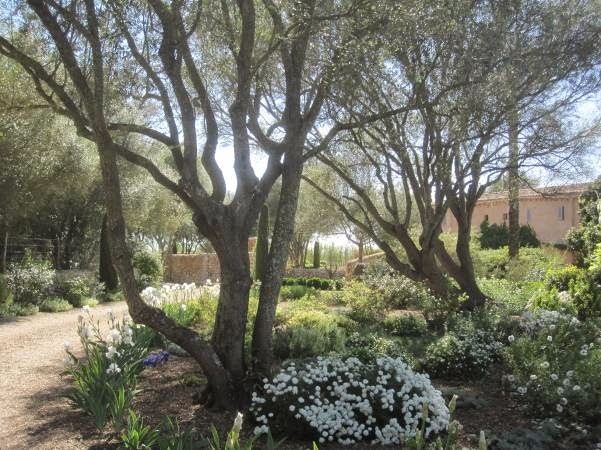 Timing for planting can be critical and the recommended main planting season is the start of the mediterranean gardening year in November. As soon as the first serious rains of the winter have soaked the ground, that is the ideal time to plant. This gives a good chance for acclimatisation and good root development before the next dry summer months come along. Make large holes, 75 x 75 x 75 cm and put in good compost, super phosphate fertilisers and consider placing a tube or cut water bottles into the hole leading directly to the roots. Filling these with a hose pipe or watering can will get the water straight down and not leave it to evaporate on the surface. Deep and occasional hand watering also gives the chance to observe your plants and spot any problem early on. Long term maintenance including feeding and mulching in the generally poor soils will help establish plants and encourage good growth. Use manures and gravel or organic mulches to improve soil conditions. Pine bark mulch is not always appropriate as it tends to retain moisture around stems and promote rotting. Chicken, sheep and cow manure are all good sources of food for the plants. Sheep manures are available from some garden stores and Cooperativas Agricolas. Organic controls for plant pests and diseases are available from Mat Diver in Conceicao de Faro, just off the N2 between Faro and Sao Bras. http://matdiver.com They stock the German Koppert products and also neem oil for use as an organic insecticide – mix this with a little drop of washing up liquid before spraying to help it adhere to the foliage. Pruning is important for the long term health of many local trees such as carobs, olives and pomegranates. Take out dead or dry branches and suckers forming at the base of such trees. Do not let carobs develop very long overhanging branches as these will split at the main trunk and damage the tree. Keep branches shorter for young healthy growth. Tip prune soft stems on shrubs and fruit trees to keep the shape you want and take out crowded central stems to let in light and air. If you can, take time to observe your garden and land at different seasons and get to know the different conditions in each part. Spring wild flowers can be spectacular and very rewarding as they require no maintenance, or irrigation. Enjoy the seasonal changes on display and the close contact with nature and local wildlife which your garden can provide. 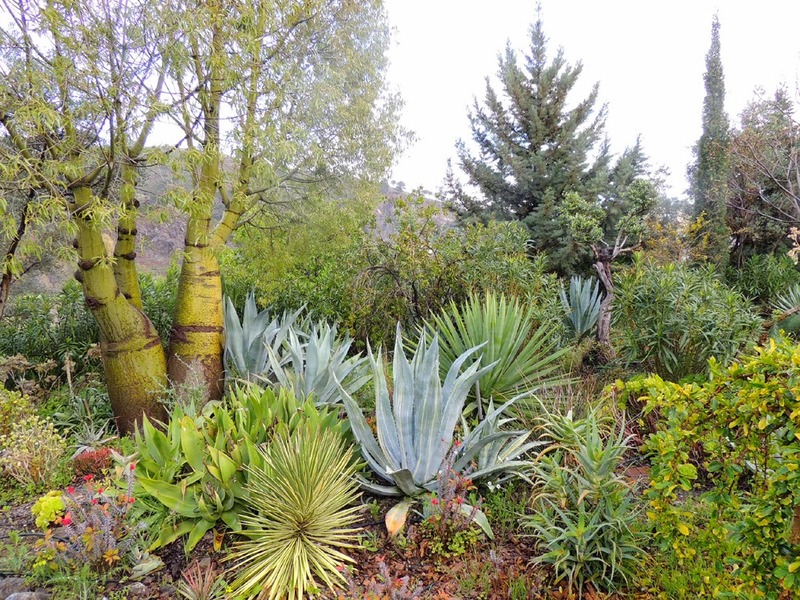 A succulent garden showing another approach to low maintenance gardens.